There was articulation in the arms and waist and that was about it. 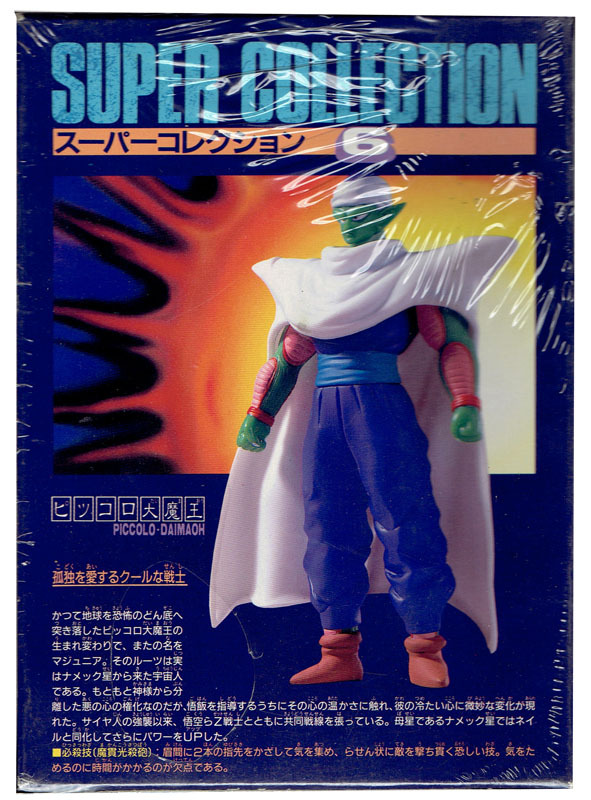 Piccolo and Gohan had removable capes. The figure sculpts are terrible however the box art and collectibility is nice. Originally these retailed for about $35 - $60 per figure. 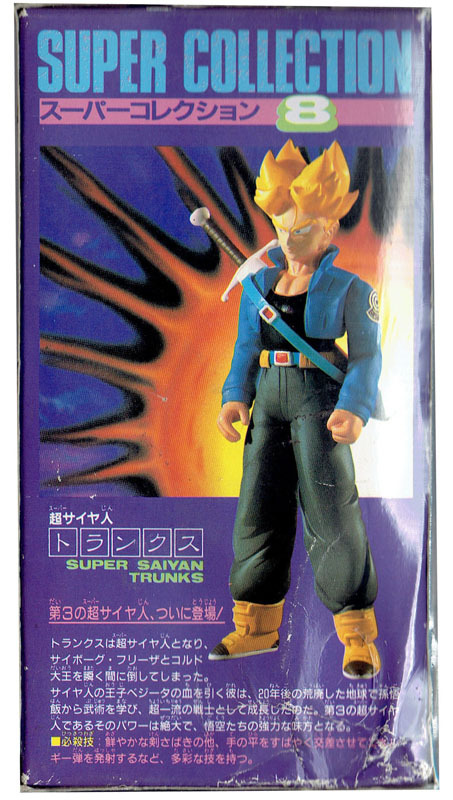 The collectibility on these figure although pretty rare can still be picked up for about 60 - 100 per figure USD. Fortunately for you my figures are still in shrink wrap and I can save you the horror that is seeing the actual figures, unfortunately the boxes are shrink wrapped so some of the scans are blurry. At least the boxes look cool! The box art is really cool on these. 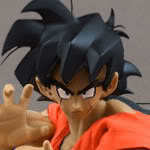 I don't mind the sculpts too much, but normal Goku has the best sculpt of them overall imo. 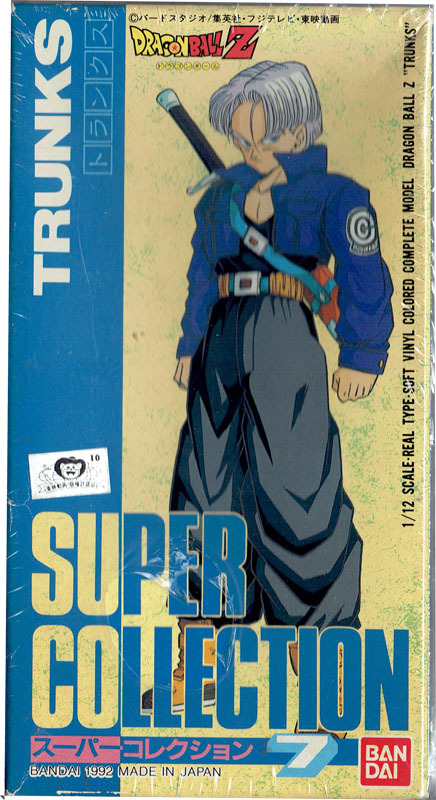 Krillin is kinda weird how they have his forehead dots risen up like warts. 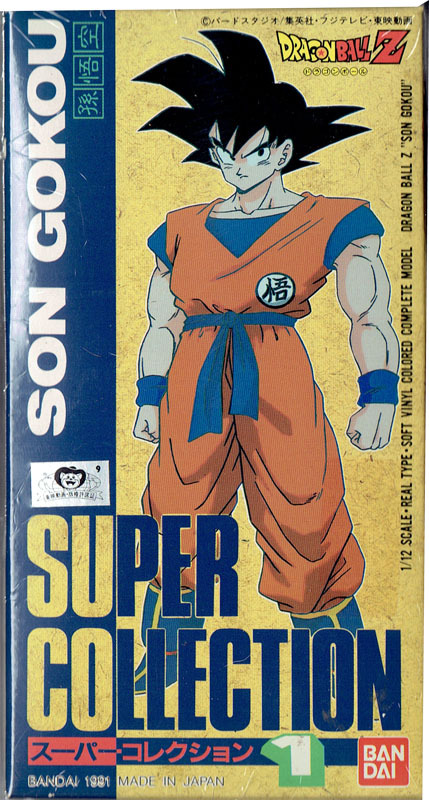 Normal Goku and Vegeta aren't all that terrible. 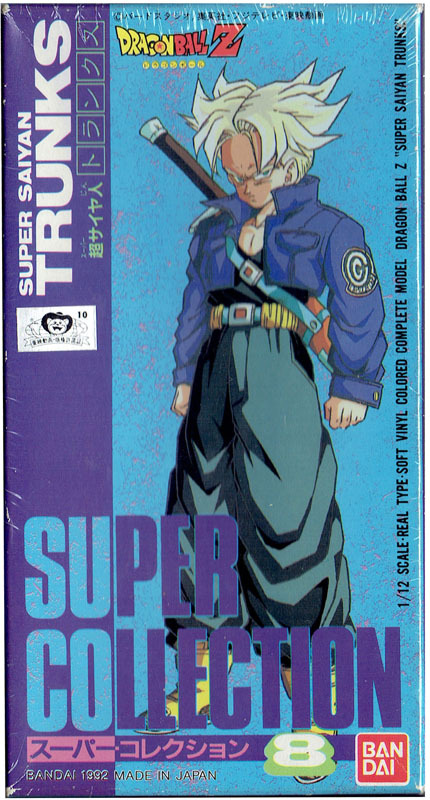 The rest are however a different story; normal Trunks could easily pass off as a fantasized version of Itsuki from Initial D! The boxes are a nice touch though. Edit: Isn't there already a checklist thread for this line? 01: Actually one of my least favorites. Everyone says it's a superior sculpt, and while the body is good, I never loved the hair. The top piece was pretty thin, and threw off the whole look for me. Was the only hair peeve I had until Irwin released their version with the reversed do. I loathed that. 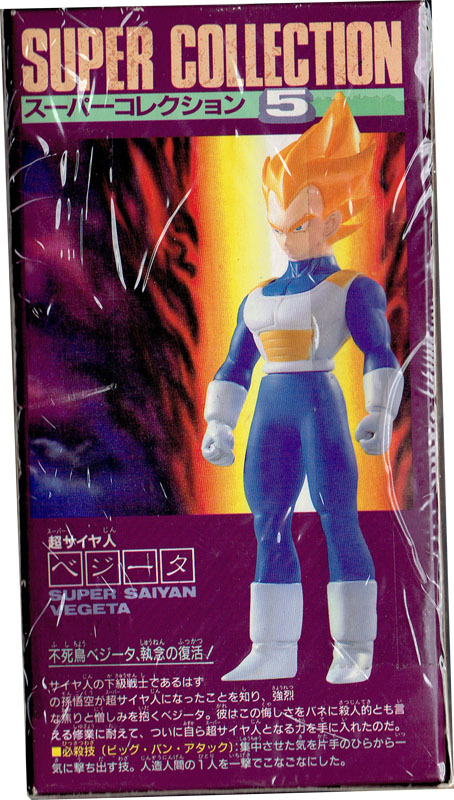 02: Hands down, if not thee favorite, it's certainly one of my favorite DB figures ever made. 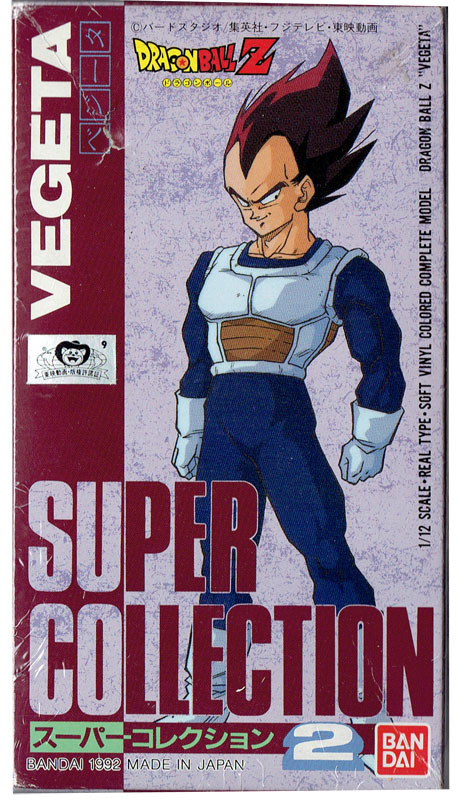 I always loved this design for Vegeta. The dark blue jumpsuit, the white sleeveless armor without the straps. Just a cool look. Not many figures were made like this. 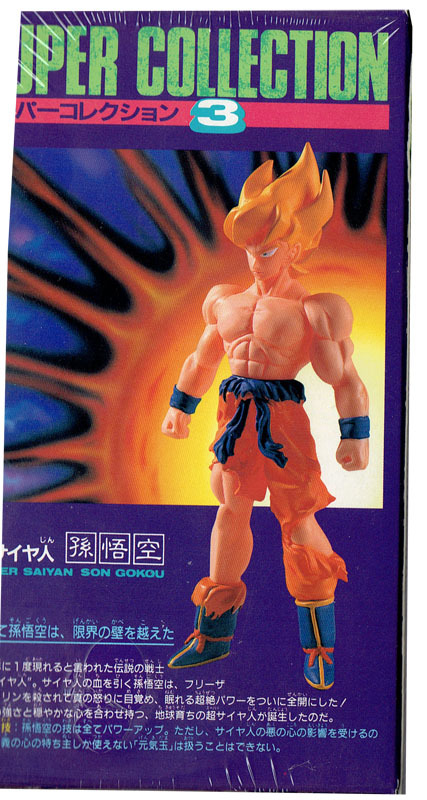 The only posable one besides this was made by Jakks, but it was battled damaged and the jumpsuit wasn't dark enough. 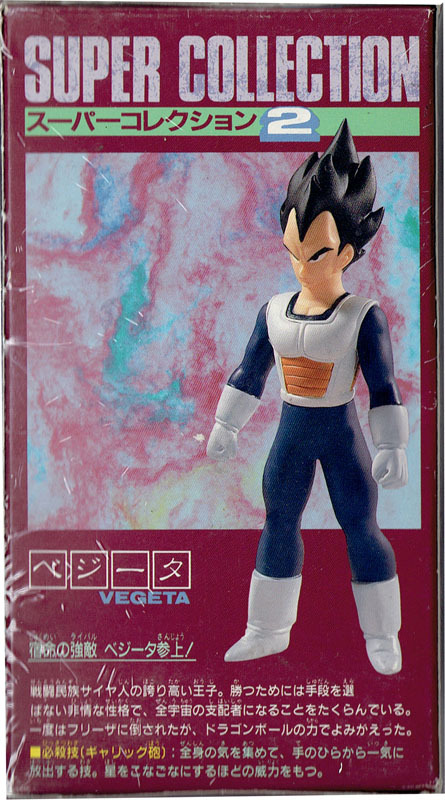 03: The face may be a little off, the arm articulation is like nothing I've ever seen, but for a loooooong time it was the only battle-damaged DBZ figure out there, and for vinyl, it was pretty badass. 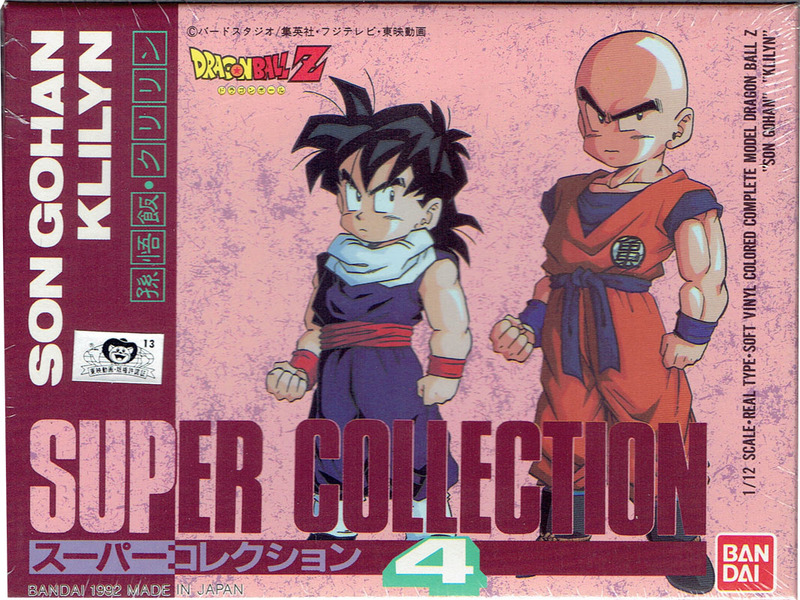 04: For a long time, it was the only bald Krillin figure out there. Sure it was off scale, but it was still pretty cool. 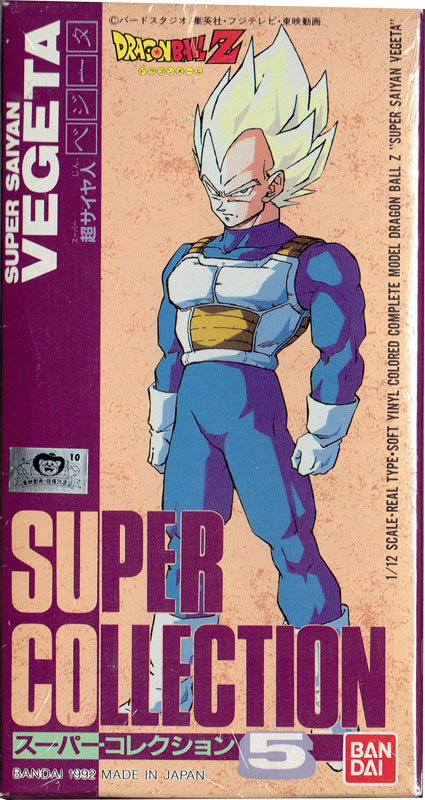 05: Only gripe was how much taller it was than the normal Vegeta! 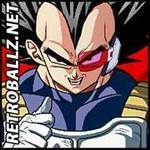 But I always found the SSJ Vegeta in armor kinda boring, visually. Not just the figure, but the character as a whole. 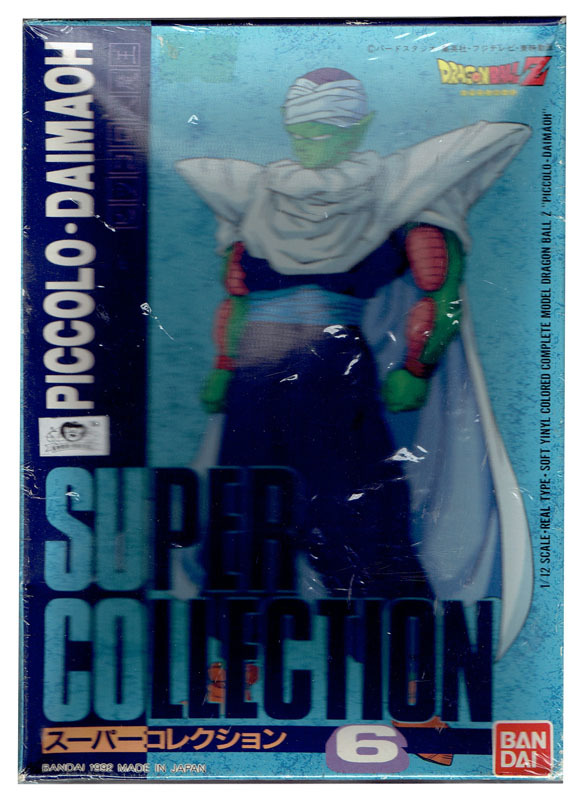 06: Classic looking Piccolo. Removable cape, soft vinyl goodness. How can you go wrong? 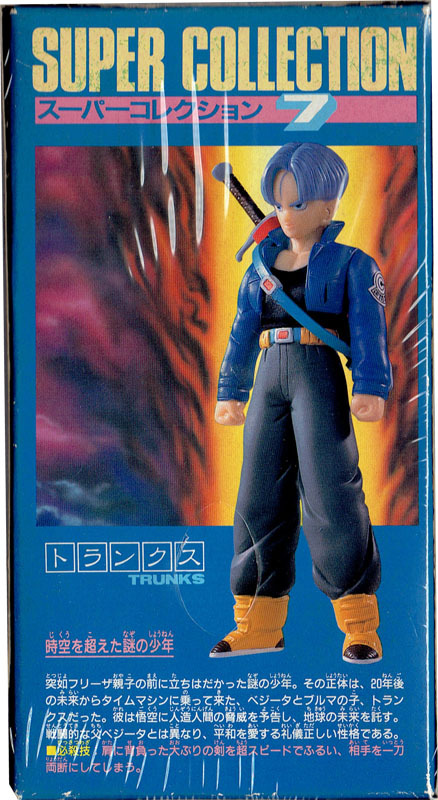 07: Trunks! Blue hair, but still, really, really cool. 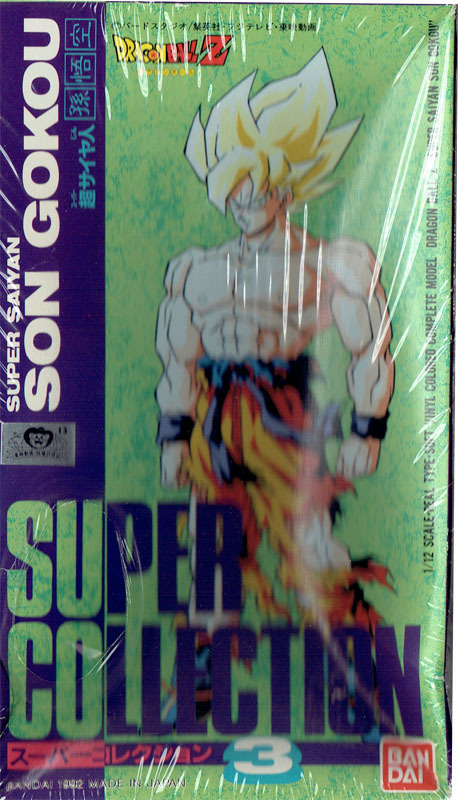 08: So many people couldn't get the SBC 3-pack, so this was a cool piece to have. People rag on the head sculpt as the culprit for making this figure look "off", but I think maybe it's the jacket color. What would it look like if it were purple? Imagine that! 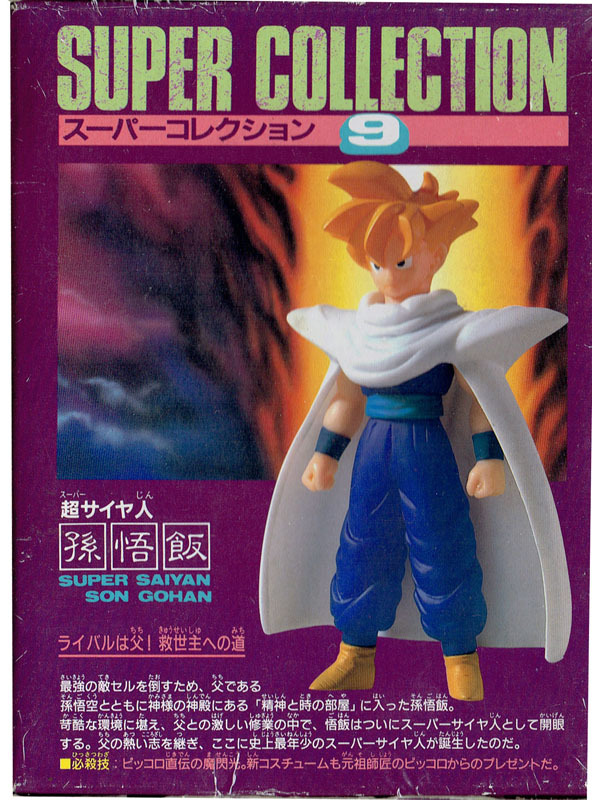 09: An anime colored SSJ Gohan with a removable cape?! This figure rocked. Great video!! 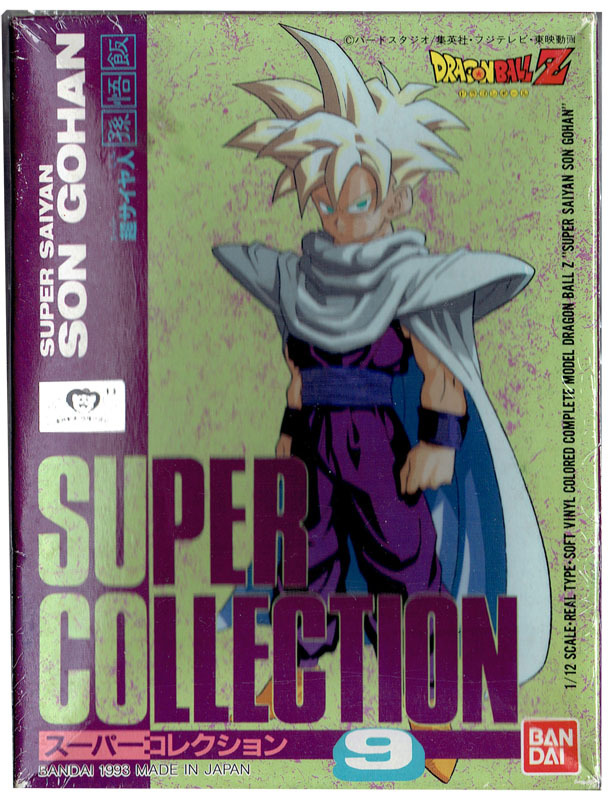 I like Super Collection. 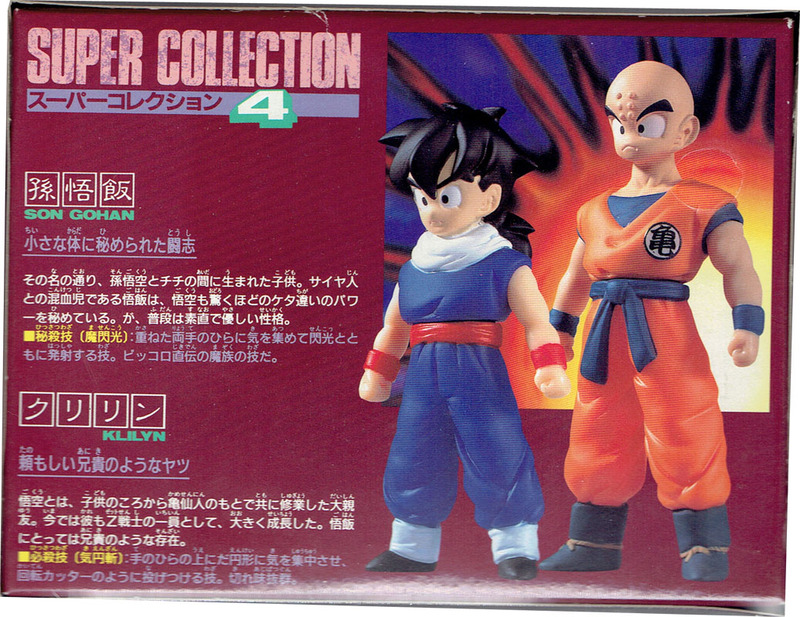 Back in the '90s and early '00s it was basically the only way for anyone to get a Krillin figure that was "sort of" 5 inch scale! I've never owned that figure though. 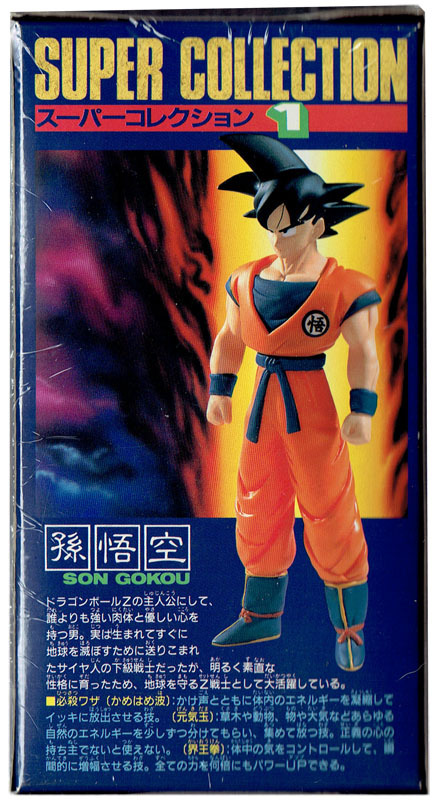 I do own SS Goku, which has an amazing looking box. I'm trying to sell it though, as it doesn't fit in with the scale/size of my collection. And yeah the figures are not awesome but these boxes are just perfect !